The Lakeshore Dog Training Association was founded in 1959 and is the largest dog obedience club on the island of Montreal. As a non-profit organization, our goals are always the best interest of the dogs versus financial gain. We utilize motivational training methods that have proven successful for hundreds of companion dog owners as well as for competitive dog sport enthusiasts. Training classes are offered to members at all levels of obedience – from Beginner's Novice through to Utility, and Rally 'O' from Novice to Excellent. Our classes confirm that it is possible to have lots of fun in a friendly and supportive environment while learning new skills. Our commitment to improving dogs' lives extends to all dogs – whether purebred, mixed breed or rescue. 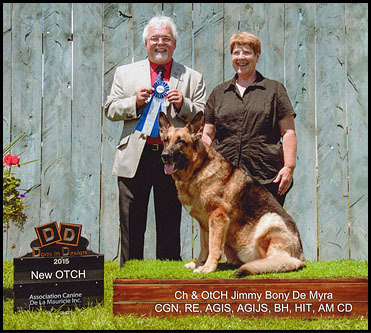 Many of our purebred dogs compete for CKC titles. Club members training non-registered dogs have the opportunity to earn "titles" at Club competitions. 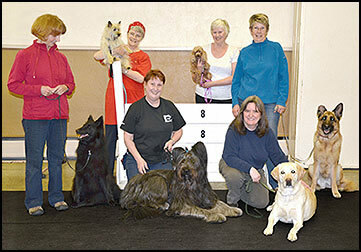 Some members choose not to compete in trials, but appreciate the camaraderie of other dog sport enthusiasts. We are committed to the well being of all dogs and support rescue organizations through donations and participation in rescue events and are happy to showcase our dogs and promote responsible dog ownership through demos in the community.